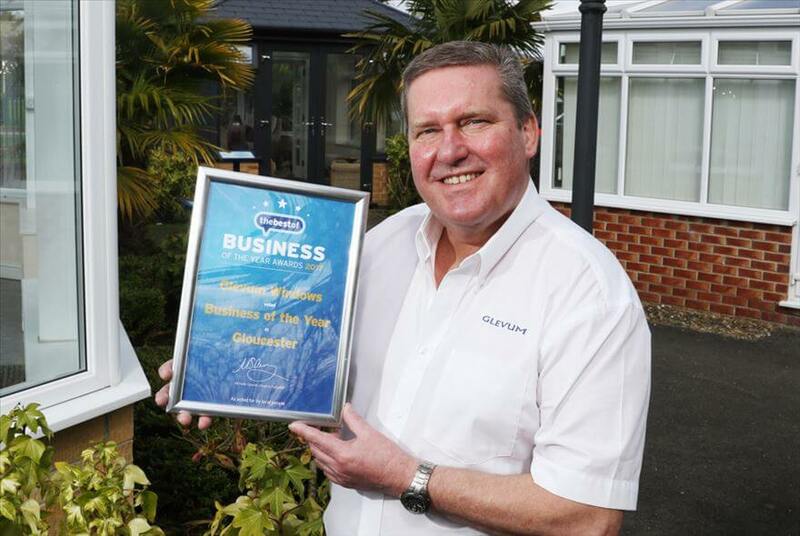 Glevum, the window, door and conservatory business has been crowned the best business in Gloucester 2017 by the “Best of Gloucester” website. The award is presented to the firm that receives the highest number and proportion of positive reviews over the last year, on the “Best of Gloucester” website. Glevum have 150 reviews on the site all rating the firm 5 stars. “We are absolutely delighted to have won this Best of Gloucester award. It is always gratifying to receive any award, but it is particularly so on this occasion as it is based entirely on feedback from our customers. I would like to thank all our staff for the massive part they have played in winning this award as this really is a team effort”. “We have a simple philosophy at Glevum which is to try and do every single job, in exactly the way we would want it done on our own home. This philosophy can be applied to their job by each member of staff whether they work directly for our customers or in one of the business support functions”. “We would like to thank all our customers for their feedback and of course for entrusting us with their home improvements. We are now working in some cases on the third generation of a family and it means a great deal to us that our customers keep on coming back to us and recommending Glevum to their friends and family. We cannot take this for granted though and we are always striving to improve both our products and our services”.